Quality Delivery at required temperature. 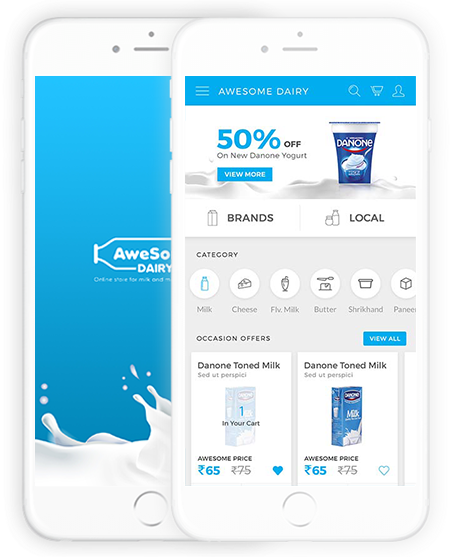 Download AweSome Dairy shopping app right now in your smartphone. Enjoy shopping like never before with added benefits as well. Checkout the AweSome Dairy shopping app available in Google play store and iOS app store. Love shopping with AweSome Dairy? Continue with your amazing shopping experience with AweSome Dairy with some more added advantages. All you need to do is to just download the AweSome Dairy shopping app to your mobile phone and enjoy shopping more conveniently with just the click of your phone. Download the AweSome Dairy shopping app from the Google Play Store or iOS App Store. Enjoy unparalleled shopping experience with AweSome Dairy shopping app. 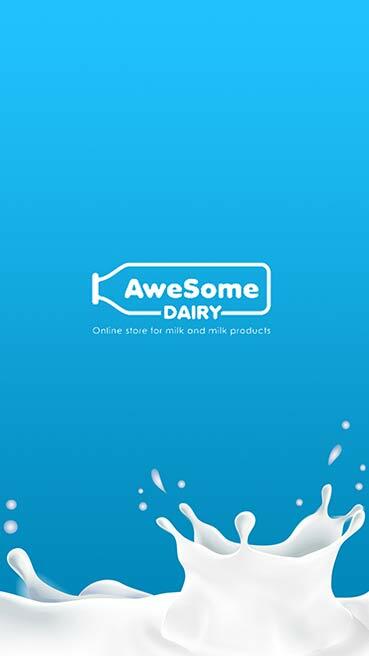 For a more convenient and faster shopping experience, login to AweSome Dairy shopping app and enjoy shopping real fast. No technical glitches. No excessive loading time. AweSome Dairy shopping app is lighter and allows you to open the app in the least of time. 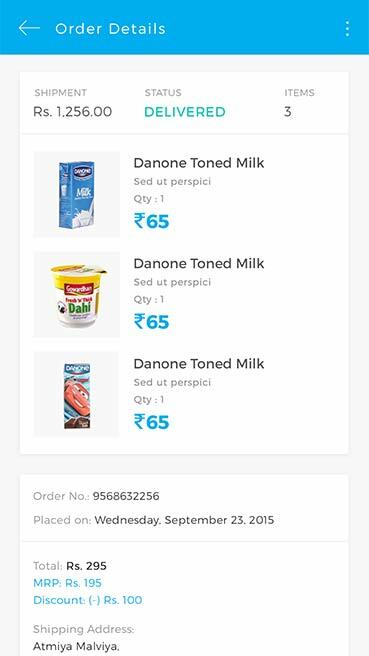 Shop anytime anywhere hassle-free with AweSome Dairy shopping app. Worried about shopping through the mobile phone and making payments via a shopping app? With AweSome Dairy shopping app, the transactions and payments are done under strict security. 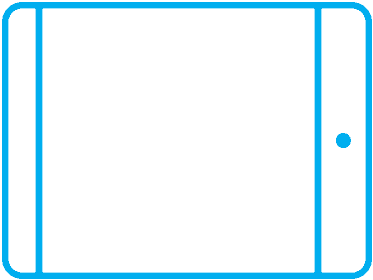 All your important information are protected with top-notch security. Shop in confidence with AweSome Dairy shopping app through highly secured payments. Buying through AweSome Dairy shopping app is always fun. Enjoy special app only offers which are especially offered to app users only. Shopping is always more pleasing when you have extra offers and discounts in your kitty. AweSome Dairy is dedicated to offer you the best shopping experience. 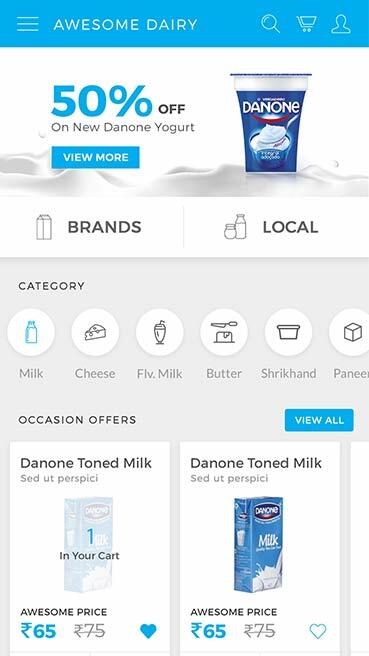 With the AweSome Dairy shopping app, your stint with mobile shopping is taken to the next level. Happy shopping with AweSome Dairy.